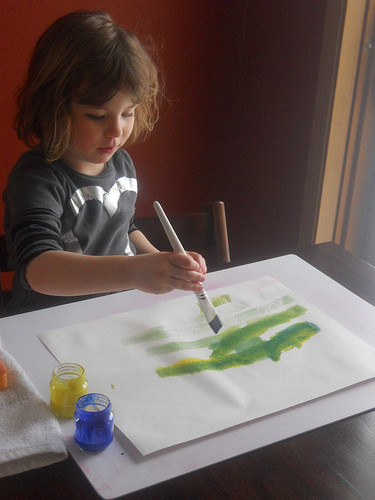 This week we asked: What does art / art exploration look like? 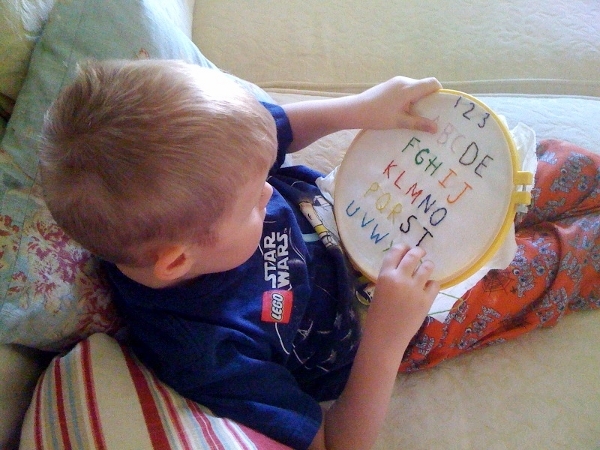 Shannon H blogs at Pineapples & Artichokes. 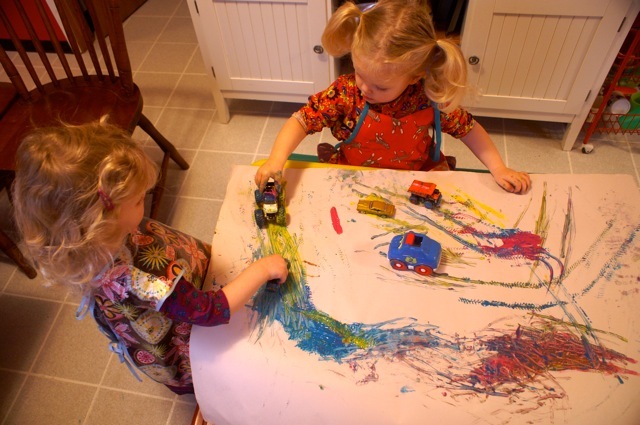 Here are Elsie and Delia painting with cars. They loved it! 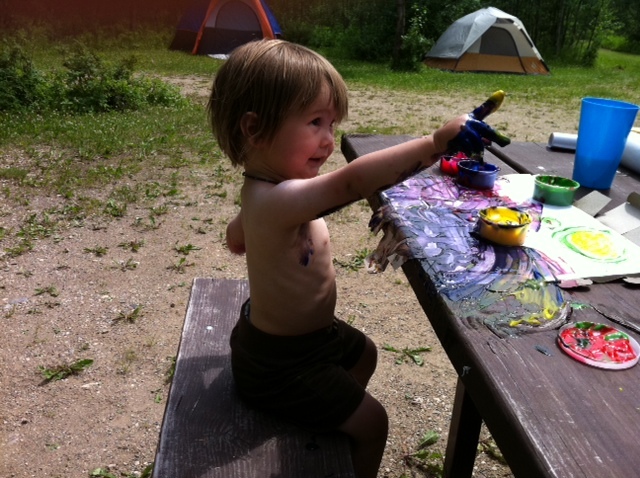 Esther, painting up a storm..or something. 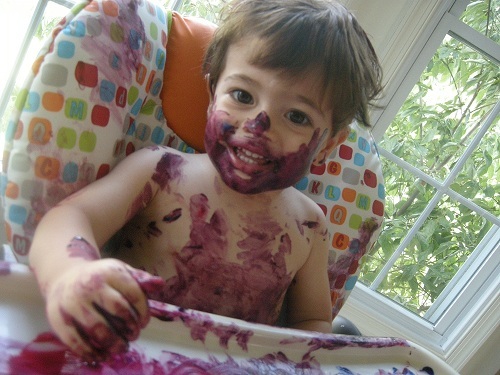 Munchkin, at age 3, explores handprint art. Sara blogs at bonzo, chooch and me. 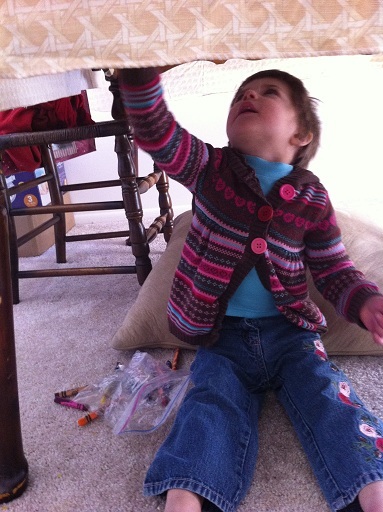 Heidi creating artwork underneath the dining room table. 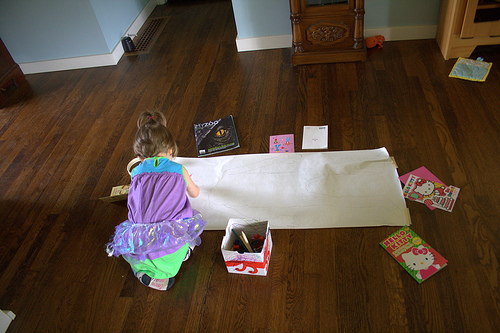 There is paper taped under there so she is not actually drawing on the table, although that would also be interesting. 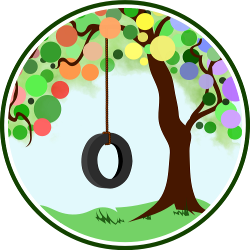 Leslie blogs at Real Child Development. 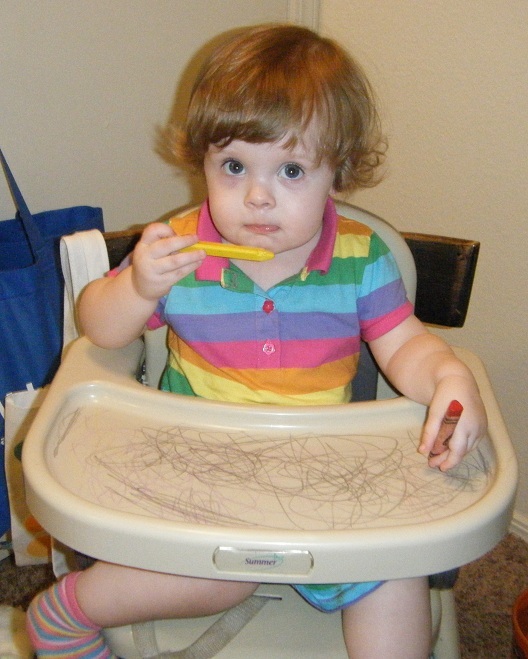 Rachel lets “Penelope Paintbrush” dance across the page. Julian blogs at Connected Mom. Stephanie blogs at Sanguine Symmetry. 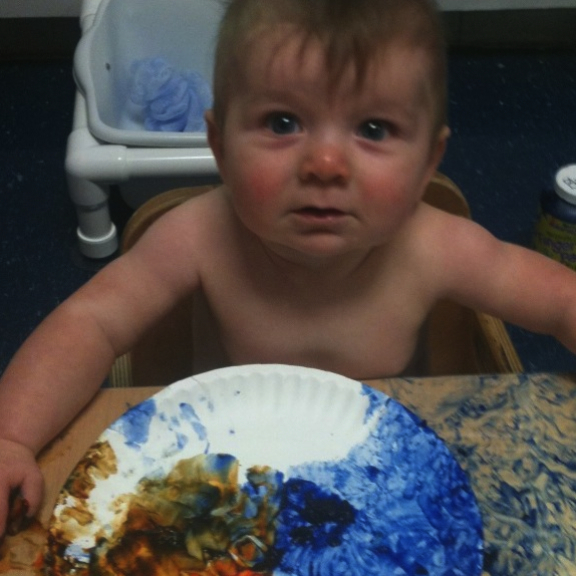 Baz painting his first masterpiece at toddler art group. Beth blogs at Summers Camp. 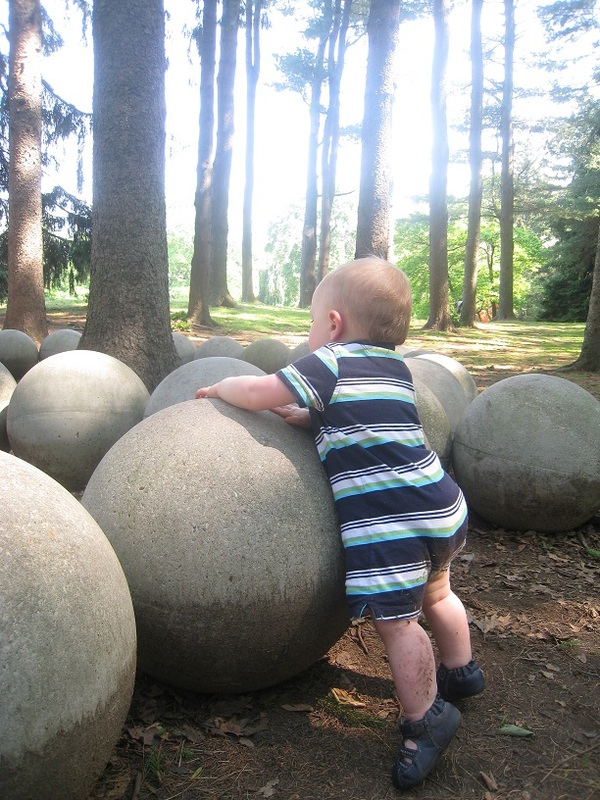 Baby’s favorite place to experience art is the local sculpture park where he can touch – and climb – the pieces of art! I eat the yellow, yes? 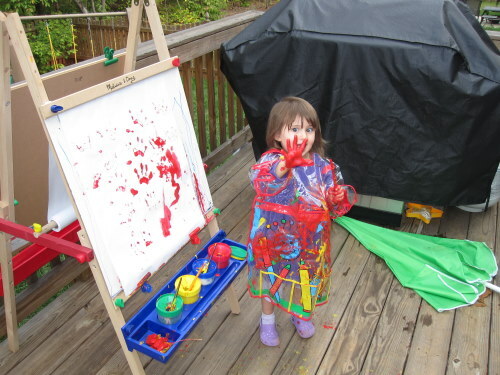 Tell us: What does art exploration look like in your family? 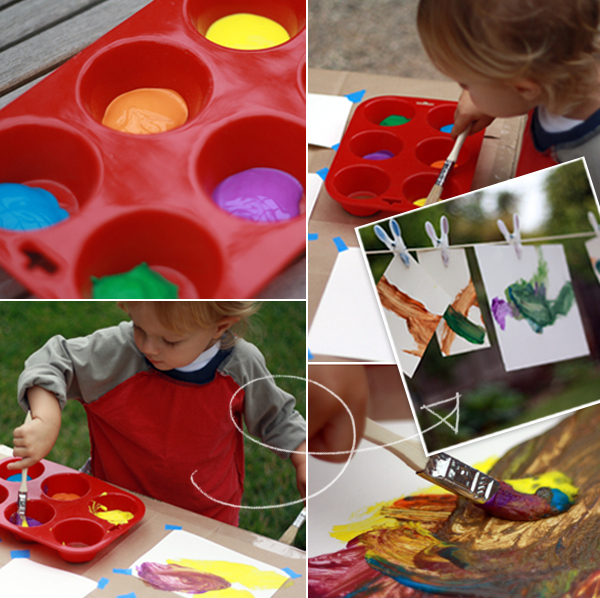 Wonderful pictures of art exploration! 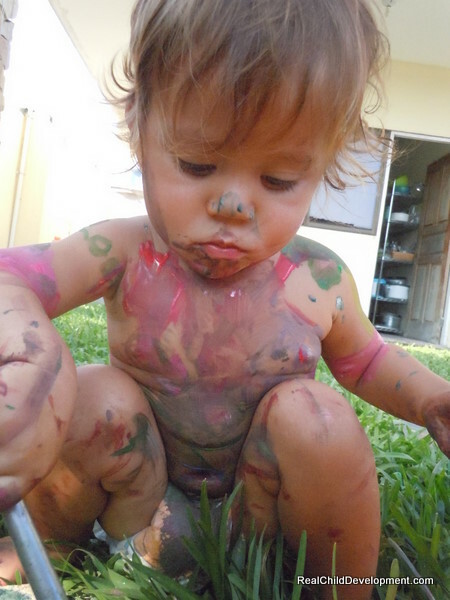 I can’t help but smile at the little ones covered in paint. Too cute. 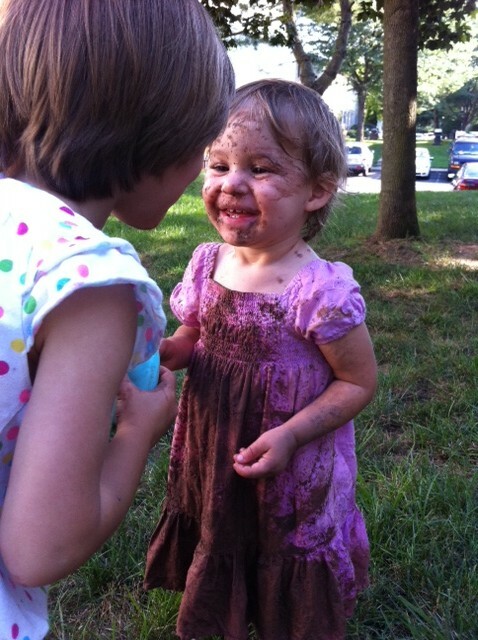 Looks like tons of fun! Lovely. 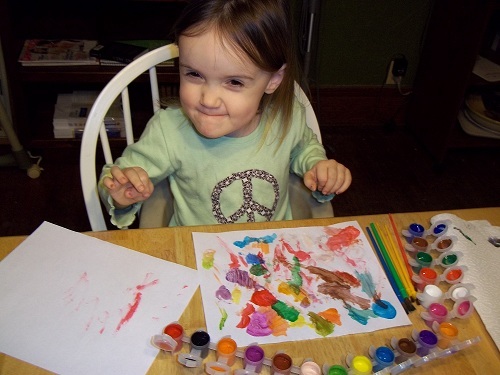 Kids & Art… makes for some great colorful “kodak moments!” Adorable kids, all of them! I love the idea of sticking paper under the table!